The Prophecy. Dissolving Around You. Desert Sands. CD, CASE AND INNER BOOKLET ARE AS NEW. DISPATCHED WITHIN 24 HOURS FROM MAINLAND UK. 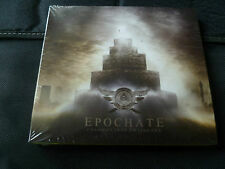 Epochate - Chronicles Of A Dying Era (SEALED NEW CD 2009) DOPE STARS INC.
CD album – MINT/UNPLAYED – STILL SEALED – NEW DISC. All the CD's sold are originals. Of Discs: 1 disc(s) Studio / Label: Jellymould Jazz UK Release Date: 22 Mar 2014. In Every Frozen Tear. Hollow Ground. Twist Of Fate. The Final Light. Futile Prayers. Scenes Of Extended Peril. Of Discs: 1 disc(s) Studio / Label: Pluto UK Release Date: 16 Apr 2007. 1 11 The Great Western Train Chase. 1 10 Altruism. 1 9 The Catacombs. 1 8 Level 7 Destroyer. 1 7 Speakeasy Confrontation. 1 6 Mortal Yes. Thought Chamber. The Largest Collection in Germany. Second Hand and New. Aethereum 4:07. Overwrite the Archetype 5:47. Contorted Utopia 3:39. Devouring the Forsaken 4:46. Artist: Labyrinth. 'Freeman' is a big move toward a new frontier of Labyrinth's sound. Title: Freeman. Format: CD. Item Condition: New and unplayed. Nothing New. Dive in Open Waters. Narnia are back with their seventh studio album entitled Narnia, an album that could be their strongest so far. 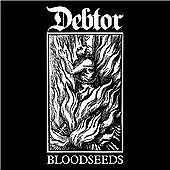 Between 1997 and 2009 they released six studio albums, one live album/DVD [recorded in Germany] and one best-of album through the respected German labels Nuclear Blast and Massacre Records. Title: Wake. Wake, their first full-length on Nuclear Blast, is the follow-up to their 2014 album Fight The Silence. Includes the single "Broken Lens". Format: CD. Release Date: 2015. Item Condition: New and unplayed. Artist Amsvartner Title Dreams Release Date 1999-10-01 Label: EMI Records Number of Discs 1. Format: CD. Item Condition: New and unplayed. Queen of the Nile. Sport'n a Woody. Bones in the Gutter. Arhont Self Titled CD. I, Revenant. Format: CD Jewel Case Sealed. Born to rock?. Every band needs fans -- we need you. We hope to see you again soon. We treat you how we want to be treated. It's that simple. Artist: Maelstrom. Title: Sunlight. Format: CD. Item Condition: New and unplayed. 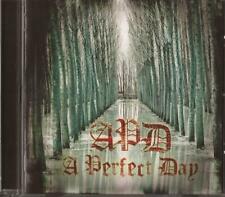 Item in very good condition, both the CD and the case in great shape. A degree of flexibility on item's arrival is appreciated. Therefore, 'if' on a rare occasion, a mistake is made, for example - an item arrives late, or condition is not up to expectations, I would really appreciate your full patience, consideration and assistance. VISION DIVINE Best Of. Vision Divine. Taste Of A Goodbye. The Perfect Machine. The 25th Hour. God Is Dead. If you have any problems let us know and we will resolve it for you. Of Discs: 1 disc(s) Studio / Label: Tee Pee UK Release Date: 29 Jul 2016. Disc 1 5 Blood Drinkers. Disc 1 4 Immortal Rot. Disc 1 3 Master of Creation. Disc 1 2 Yeti. Disc 1 1 Hideous Serpent. Title: Reflections Of A Forlorn Sun. Title : Reflections Of A Forlorn Sun. Format: Maxi. Format : Maxi. Artist : Traces. Label : Siege Of Amida Recs. List Price (MSRP) : 4.99. Binding : Audio CD. Opposition 1:06. Volition 2:16. Heresy 2:24. Of Discs: 1 disc(s) Studio / Label: Black Attack-Soulfood UK Release Date: 21 Feb 2005. Artist Dispatched Title Motherwar Release Date 2000-06-26 Label: EMI Records Number of Discs 1. 1 2 Motherwar. 1 9 Dispatched. 1 8 Silver Waves. 1 7 The Final Countdown. 1 6 Templar. 1 4 Shes Lost. Artist: EERIE. Title: Eerie. Format: CD. Item Condition: New and unplayed. Hideous Serpent. Artist: Chiodos. Title: Devil. Format: CD. Item Condition: New and unplayed. Looking for a Tornado. Behvis Bullock. Why the Munsters Matter. Abigail Williams - Becoming. 6 Beyond The Veil. 4 Infinite Fields Of Mind. (Title: Opera Oblivia. Artist: Hellions. Format: CD. Item Condition: New and unplayed. Polyphasic Sleep I) Aurora. II) Technicolour Yawn. Creasy I) Styrofoam Lungs. Neustra Culpa. 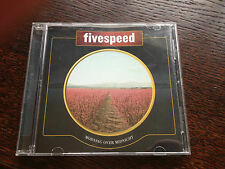 FOR THIS CD! THE NETHERLANDS. 9351 PP LEEK. LANDAUERLAAN 36. CHRIS & SIETSKE. Vorm Abgrund. Du Bist Nichts. Seminal Welsh rock band Funeral for a Friend, release CONDUIT, their sixth album of their career. Title: Conduit. Artist: Funeral for a Friend. Format: CD. Best Friends and Hospital Beds. Item Condition: New and unplayed. The Largest Collection in Germany. Second Hand and New. Here you may buy music at very low prices. Nulldb : Endzeit CD NEW .